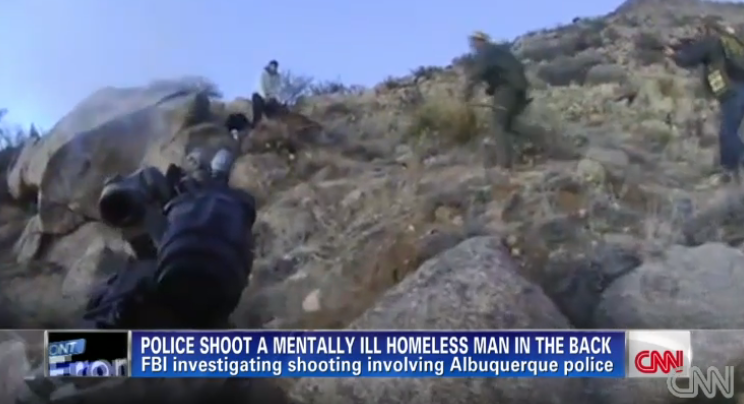 Albuquerque police, murder charges: Homeless man's killing leads to accusations. Officers approach Boyd before he is shot. Two Albuquerque police officers will face murder charges for the March 2014 killing of a homeless man who was holding two camping knives, multiple reports say. SWAT team member Dominique Perez and former Detective Keith Sandy will each face a single count of open murder in the death of 38-year-old James Boyd, Second District Attorney Kari Brandenburg said. Open murder allows prosecutors to pursue either first-degree or second-degree murder charges. Before he was shot, 38-year-old James Boyd had been involved in a standoff with officers who wanted him to leave a makeshift illegal campsite. Albuquerque’s police force was already under investigation by the Justice Department before the incident; the DOJ ultimately issued a report that found the city’s officers engaged “in a pattern or practice of use of excessive force.” The city subsequently agreed to institute a number of federally recommended reforms including the disbanding of a special police unit notorious for (in the words of a local news outlet) its “over-aggressive, cowboy culture.” As of June, Albuquerque police had killed 26 people since 2010. Lawyers for the accused say their clients did nothing wrong.